Koya Leadership Partners is a national retained executive search and human capital consulting firm that works exclusively with nonprofits and social enterprises. Clients come to Koya—and return—for the gold standard in executive search. The executives we place are widely considered leaders in the nonprofit field. Our founding philosophy, ‘the right person in the right place can change the world’, guides our work with clients across the country and around the world. Our team of close to 50 professionals nationwide hails from global executive recruiting firms as well as all corners of the nonprofit sector. Our combined experience provides us with an insider’s and outsider’s view of the field, and a deep network within the nonprofit and private sectors. A key differentiator of Koya is that each member of our firm has a genuine passion for, and commitment to, mission-driven work. This firm-wide commitment impacts our approach to our work and results in trusted and lasting partnerships with our clients and candidates. This commitment to mission-driven work is also core to how we treat our employees. Koya is a place where employees can bring their full selves to work; staff members are developed professionally and empowered to support the personal causes that matter most to them. We believe wholeheartedly that best-in-class service to candidates and clients can, and should, go hand in hand with being a best-in-class organization for our team. Diversity is a deeply held value at Koya. We believe diversity spans gender, race, faith, ability and sexual orientation and strive to build diverse pools of talent in our work with clients and track metrics on diversity as a performance outcome for our recruiters. We are proud of the results of this commitment: over one-third of the leaders we place are executives of color and over 50% are women. Internally, we believe in and strive to foster a workplace in which all perspectives are valued and welcomed. Koya has been recognized by Forbes as one of America’s Best Management Consulting Firms, by Hunt Scanlon Media as one of the top 50 fastest growing executive search firms, and by Staffing Industry Analysts as a Best Staffing Firm to Work For in 2016 and 2017. 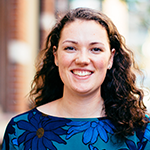 In addition, Koya’s CEO & Founder, Katie Bouton, was named a 2016 Boston Brava Award Winner by SmartCEO, which recognizes high-impact women business leaders, and featured by the Boston Business Journal as an Emerging Leader for her success as founder and CEO of Koya. Meghan brings over 20 years of experience in philanthropy to her role as Senior Director, Brand Engagement. In this capacity, Meghan collaborates with the CEO and teams on strategic planning, organizational systems and special projects. Prior to joining Koya, Meghan was involved in direct fundraising as a Director of Development for the Rose Art Museum and as Chief of Institutional Advancement at Jewish Community Housing for the Elderly. Meghan holds a dual degree in English and Women’s Studies from the University of New Hampshire. She earned her M.B.A. from Brandeis University with a focus in nonprofit management, and a Certificate in Human Resource Management from Cornell University.